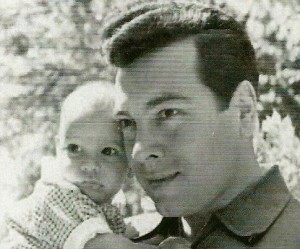 We come to the end of 2009, the 50th anniversary of Damon’s father, Mario Lanza. We are sad that Damon was not here to participate in the celebratory events but in our hearts we know he was with us in spirit. We could feel his presence. The Lanza Legend Team had started planning events for 2009 early on, discussing 3 Lanza exhibits we would put on at the Italian festivals in California and Milwaukee and a musical event we would do ourselves on Damon’s home turf. He was excited about it all and his excitement was infectious. You couldn’t help but feel happy around him and his positive energy. Needless to say, without our Damon, we didn’t have the heart for most of it except to attend the tribute concerts to Mario and Damon by Aaron Caruso in NYC and Dominic Mantuano on Staten Island, both superb. Damon’s birthday and Christmas are fast approaching once and all we keep thinking is, another year without Damon. We miss him every day and the grief will remain for a long time. A poem was presented to us by a good friend who simply wrote how he felt about Damon and his life ‘s work. Upon reading it we were moved to tears as this indeed what was Damon was all about. We’ve taken the liberty to add comments about Damon within the poem. We hope you don’t mind, and that you enjoy it. That I had filled a needed post. That I had taken gifts divine. was all about, quietly and without idle talk or boast. My debt to God for life divine. (Indeed he did. Damon may be gone but he will never be forgotten.